Hospitalization data from the Pennsylvania Health Care Cost Containment Council (PHC4) helped uncover little-known facts about lower extremity amputations in southeastern Pennsylvania. Armed with this knowledge, Dr. Ronald Renzi applied for and received the Innovator’s Circle Award from Abington Health Foundation and founded the Save Your Soles Campaign. “The campaign is a grassroots effort aimed at reducing major lower extremity amputations in the Philadelphia area. Peripheral arterial disease and diabetes are the leading causes of lower extremity amputation. The Save Your Soles Campaign provides education on diabetes and screenings for peripheral arterial disease at numerous community events across the region” explains Dr. Renzi. With the use of several years of customized hospitalization data purchased from PHC4, the campaign examined location and racial differences of patients suffering lower extremity amputation. The data revealed large geographic and racial disparity in amputation rates. Based on these findings, the campaign was able to secure funding that allowed for outreach directed at the most affected areas and a media campaign to increase awareness of the racial disparity in amputations. These initiatives have led to an increase in the number of volunteers and institutions joining the effort to reduce and eventually eliminate lower extremity amputations. Black males have been the focus of the campaign due to the high rate of amputation in this segment of the population. Over the last few years, the overall number of amputations continues to fall in Philadelphia and surrounding counties. As a group, black females in Philadelphia have experienced the largest decrease in amputations. Dr. Renzi noted that PHC4’s data included the variables necessary for the Save Your Soles Campaign to identify the geographic areas with high amputation rates and to identify populations most at risk. He stated that there are specific zip codes in southeastern Pennsylvania where amputation rates are five times higher than the national average. The campaign found that black males suffer major lower extremity amputation three times more often than white males in the Delaware Valley. Equipped with these findings, the Save Your Soles Campaign met with medical and community leaders, who were often unaware of the problem. Together, they worked to create targeted information and screening campaigns to heighten awareness and improve health care. By collecting amputation data over many years, the campaign was able to identify long-term trends. Dr. Renzi noted that they hope to do more analysis and projects using PHC4 data. He shared that the campaign has recently started tracking vascular surgery procedures designed to prevent amputations in patients with poor circulation. Further, the effectiveness of these procedures can be evaluated with PHC4 data. When questioned about whether he would recommend PHC4 data to other healthcare providers and researchers, Dr. Renzi expressed “Yes, I would recommend PHC4 data to others. There is a treasure trove of data to improve healthcare outcomes. The process to purchase PHC4 data is easy and straightforward with helpful and very knowledgeable staff. ” He added that, as a future enhancement, having access to real time data would improve efforts to reduce amputations and other negative health outcomes. Read about how other clients use PHC4 data. 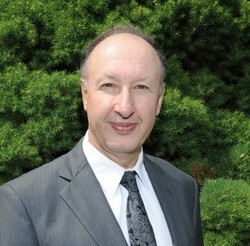 Ronald Renzi, DPM has been a practicing podiatrist for more than 25 years, with a special interest in preventing amputations in people with diabetes. As a recipient of an Innovator’s Circle Award from Abington Health Foundation, he founded the Save Your Soles Campaign. The campaign is a community outreach program aimed at reducing the high rate of amputations in black males residing in the Delaware Valley. Most recently, he worked with Temple School of Medicine looking at racial disparities in amputations of black diabetic males. Dr. Renzi served on the Global Lower Extremity Amputation Study Group and published an article in the British Journal of Surgery which has been cited in several medical journals. His U.S. research has been published in the American Journal of Podiatric Medicine and the Annals of Vascular Surgery. He is on the staff of Abington Hospital/Jefferson Health and serves patients in Philadelphia and Montgomery County. He is a member of American Podiatric Medical Association and Society for Vascular Surgery, and a graduate of the Temple University School of Podiatric Medicine completing a surgical residency at Kensington Hospital. For more information contact Special Requests at .